“Exhibiting Art in Georgian Ireland” at Dublin’s splendid Central Assembly House, an exhibition and a walking tour, this week! I’m delighted to be leading 4 tours for the Irish Georgian Society (IGS) over the next 3 or 4 weeks. Two of these events are architectural and local history walks, one features the storied Camden- Aungier Street axis, while the another is an architectural appreciation of Grafton Street. These two walks run Wednesday 11th July then Sunday 22nd of July, respectively. There are a few places remaining on each. Tickets can as always for our annual IGS programme, be found on the Events pages of the IGS website. But it’s to our other project for the Irish Georgian Society I’d mostly like to draw your attention to, our new fine art tour, with a unique twist, debuting this week, on Wednesday evening, 27th June at 6PM. 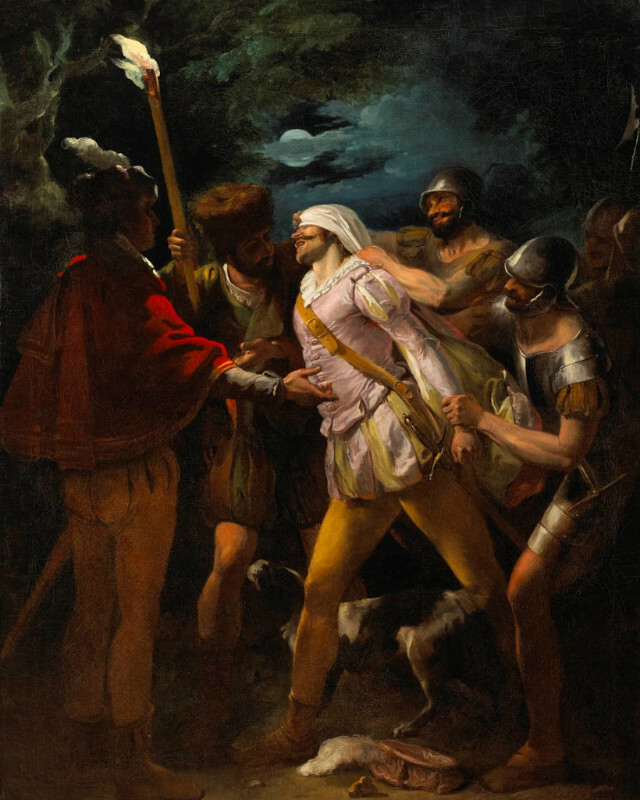 The background to the walk is the Society of Artists, formed in the mid-1700s. Although the Society themselves were to designed to have a short but glorious life, lasting barely 15 years, they had nevertheless created the first purpose-built space for the public display of art in Britain or Ireland, indeed very probably the first such space in Europe. Thereafter, from 1765-1780 they held their annual shows in the majestic Octagon Room, the great toplit gallery space within the Central Assembly House. Nearly all the greatest Irish artists of the age, painters like Thomas Roberts and William Ashford, as well as artists like Francis Wheatley from abroad, exhibited there. 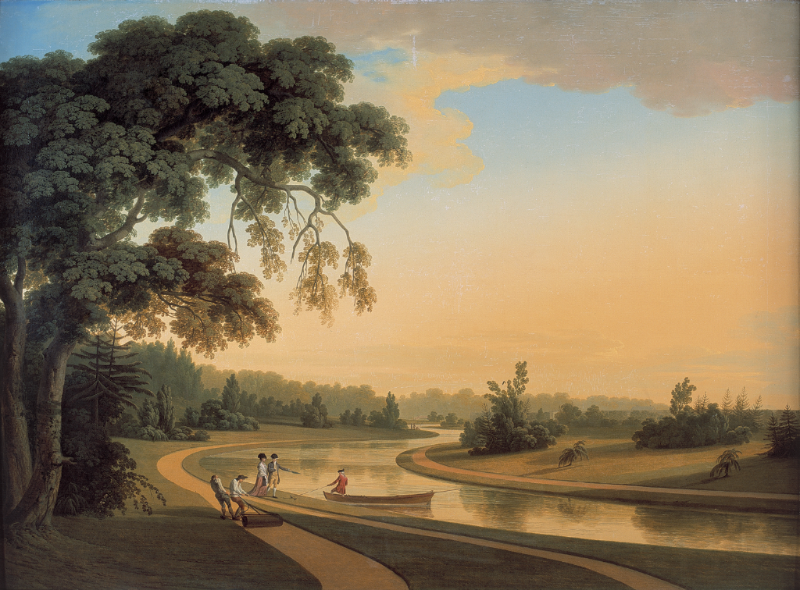 Their artworks were displayed in the 18th century, Salon-style, with works much closer than today, hung almost edge-to-edge, and stacked 3 or 4 rows high, from as low as knee-height to up 18 feet above eye-level. Two hundred and fifty years later, to celebrate the ground breaking legacy of the Society of the Artists, and the IGS’ restoration of the Artists’ unique Octagon Room, it was resolved to create, or recreate, an exhibition of works by the Society of Artists exhibitors. The curators of the current show, in a painstaking process of both research and of planning lasting many years, tracked down, borrowed and gathered together almost 100 of the artists’ works. That ambition has now been realized. These works are now exhibited, for just over a month, in the distinctive, Georgian salon-style “hang” in the same Octagon Room where many of them were first exposed to the public’s gaze. 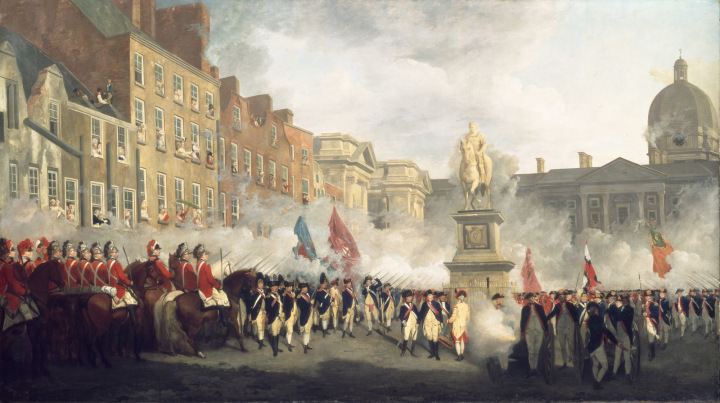 Now as then, it is a sight to behold, giving an extraordinary glimpse into the world of Eighteenth century Dublin, the world of its its powerful and wealthy, its politics, cultural life, its culture and economics.. The exhibition runs at the City Assembly House, in normal opening hours, up until the 29th of July. Thanks to the generosity of various public bodies and private individuals, as well as scores of people who gave their time and expertise for nothing, the exhibition is free. For anybody with an interest in Georgian Dublin, or the history of the fines arts in Ireland, it is unmissable. 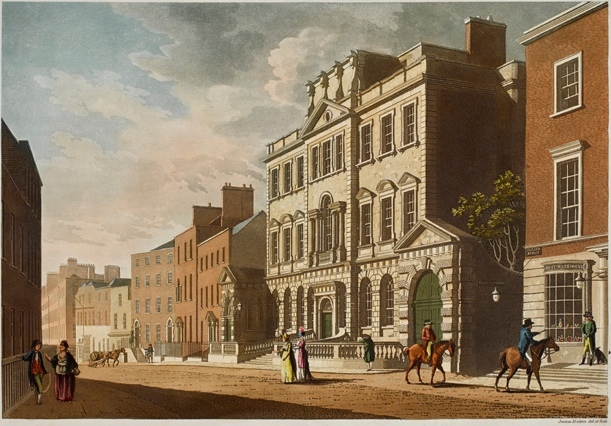 In the first hour of this tour, we’ll explore the local area around the City Assembly House (CAH) looking at the locations of some of the artists’ homes & studios, from Grafton Street to Eustace Street, from College Green to South William Street itself. Then we’ll return to within the CAH, to visit the Octagon Room exhibition, and here we shall draw some of the threads of our earlier street-level discussion together, discussing the artworks themselves, and exploring notions of theme and subject matter, changing patterns in patronage and in 18th century painting. We look forward to seeing you some of you there. Please note: all four walks mentioned in this newsletter are not Dublin Decoded walks, they are IGS walks that I’m leading, but not administrating. Any ticket inquiries or other administrative inquiries should therefore please be directed to the IGS offices. Many thanks. Previous Post Stretching the City & Into the Bay – new life for old Pigeon Hotel & former Poolbeg Power Station?